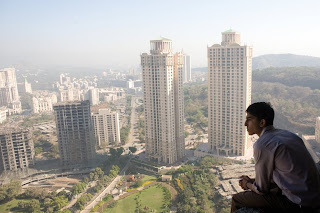 “Slumdog Millionaire” is probably one of the most anticipated films this year. No thanks to the Oscars who gave it 8 awards including Best Picture. A major feat considering that it came into contention with a lot of heavyweights this year like “The Curious Case of Benjamin Button” and “Milk”. It makes us wonder though why “Slumdog Millionaire” came very, very late here in our country. Maybe because its hype only came late last year and no publisher was yet to be found? Too bad this may affect its performance locally not with all the pirates already serving up the bootlegged version a few months already but as the saying goes, “Better late than never” right? So with all the hype, can “Slumdog Millionaire” woo us Filipinos like it did people half a hemisphere away? Read on! The film primarily centers on Jamal Malik (Dev Patel) as he is on an extraordinary streak on the show “Who Wants to be A Millionaire”. Jamal is only one question away from getting that 20 Million Rupee prize. The only thing that is stopping him is that the host (Amil Kapoor) thinks Jamal is cheating and now, Jamal has been arrested and is being interrogated by the police. Jamal is forced to tell his life story to show the police officer that he indeed has not cheated. Along the way, we find out how Jamal has answered all of the questions correctly even though he had no formal education and is only a server of chai in a call center. Now as for the movie, what we can say is we were astounded in all aspects from the acting, the sound and especially the riveting final question scene. The story seems to be nothing spectacular in all honesty – poor man with a story to tell but what is amazing is the execution of that sad plot and how the “Who Wants to Be a Millionaire” show was integrated with it. The only flaw we could see is that there are some gaping holes that were not answered like how Jamal learned to speak English so well. We guess this comes with the story jumping from question to question and having a different timeframe per question altogether. 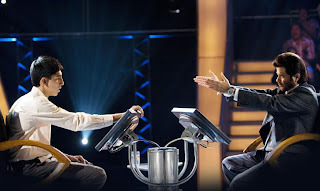 Even with all the hype, “Slumdog Millionaire” amazed us – and that is no easy feat. If you haven’t watched it yet (thank God that you haven’t stooped down to the level of pirates), this is a good time to do it. And for those who did watch it already, a second time around wouldn’t hurt especially that you get the full video and audio package in a theater. This is a much watch for everyone and truly a masterpiece to behold. By the way, thanks again to Azrael Coladilla for our advanced screening tickets. Also, we would like to thank Viva Entertainment for bringing “Slumdog Millionaire” in our local big screens. Finally, we would like to thank SM Cinemas and TV 5 for holding the advanced screening. “Slumdog Millionaire” will be shown around the Metro starting April 11, 2009. - the plot was well-developed and well-integrated with the game show and its question. - acting was good considering that most of the actors are not well-known outside of Bollywood. - nothing really – this is the best film we have seen this year – par none.